These are the true stories of the innocent and the unimaginable. Based on true events, A Haunting dramatises some of the scariest stories, revealing a world in which tragedy, suicide and murder have left psychic impressions so powerful that innocent people become forced to deal with them decades later. 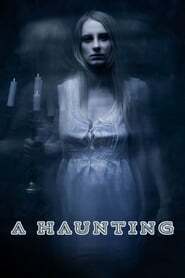 Through mesmerising first-person accounts, the mystery and origin of each haunting is powerfully revealed and leaves a lingering sense that life - and death - are much stronger then anyone could have possibly imagined.